There has been a settlement on the site of the historical cathedral city of Salisbury since 900 AD. Set picturesquely on the edges of Salisbury Plain, the area has long been an inspiration to artists, including John Constable. The population of of the city today stands at just over 40,000. There are 10 funeral directors in Salisbury to support the needs of local bereaved families and individuals. These range from national and local chains to small independent firms, all experienced at working to provide for the needs of clients. The population within Salisbury is largely Christian, with over 50 per cent of the population stating Christianity as their faith. There are more than 19 churches of different denominations serving the community within Salisbury as a result. Slightly more than 30 per cent of citizens describe themselves as having no religious faith. 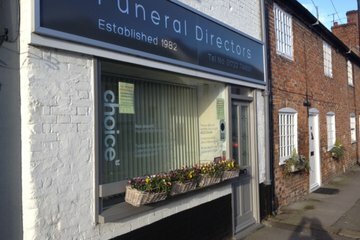 As a result, funeral directors in Salisbury are adept at meeting the needs of those seeking a secular or Humanist service. The area is served by Salisbury Crematorium on the outskirts of the city. This encompasses the London Road Cemetery. Together the two facilities offer memorials and burials. The Devizes Road Cemetery, also in Salisbury, is now closed to full earth burials. Search for local Salisbury funeral directors now to see funeral homes near you. You can filter search results by best rated, most reviewed or nearest to you. Click on a funeral director’s listing to see their profile page, where you can read independent customer reviews, search for recent obituaries, and learn more about the funeral services they can offer to you. The overall support and assistance from Darren MacDonald Funeral Directors Ltd has been outstanding, especially Darren himself who has guided me through this most tragic and emotional time in my life with empathy and the greatest degrees of sensitivity and understanding. The whole funeral process from the initial planning stage to the final farewell to my beloved wife was completed in a most compassionate and caring way by a most professional and caring funeral director and his staff, thanks to everyone at Darren MacDonald Funeral Directors for your support and help. My family and I would recommend Darren and his staff for anyone's funeral. At such a difficult, hard, sad time Darren and Chris went above and beyond, making the experience less painful. They gave my dad THE BEST send off he would've been proud of. They listened to everything we said, they are compassionate, caring and very professional at helping the loved ones of the deceased. They kept us updated and we're reassuring every step of the way. We are so thankful to Darren and his team and am REALLY pleased we chose them to look after my dad, as they took great care of my dad and us. Great service. Very friendly, quick to reply to emails, and considerate. Glad we chose him. Darren was extremely efficient compassionate and proactive. Super chap. So helpful. I would highly recommend Darren and his team who provided myself and my daughter with the most professional and caring service after losing my husband Steve at the beginning of September 2018. He took on board our wishes for Steve's funeral and provided what can only be described as an excellent service. When the need arises I will definitely use Darren and his team again. They treated my husband with the utmost respect whilst he was in their care. 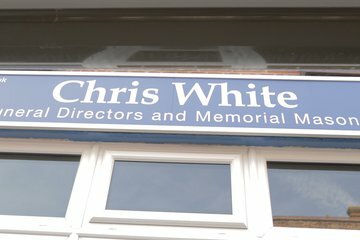 A first class funeral director.